With dental implants, we can make your broken smile whole again with beautiful results. When a tooth is lost, there may be an impact on your smile and on your ability to chew. Dental implants for tooth replacement come with many benefits including better oral health and improved esthetics. The best part is dental implants are the most like your own natural teeth! 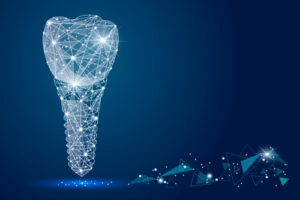 The process begins with the surgical placement of the implant, which mimics a tooth root, into the area where a tooth had once been. Over several months, with healing, it actually fuses to the bone giving exceptional strength and stability. Then an attachment is placed into the implant, and then a crown over that; and you can smile and eat again with confidence! Come to Bellmore Family Dental for a consultation with our specialists!